Mile for mile, this is one of the most amazing trails I’ve ever done. You can do it from either direction, but going from Cooke to Rosebud will give you significantly less elevation gain. You’ll hike in forests, along rivers, alpine lakes, waterfalls, and through canyons on well-graded terrain. The Forest Service map for the Beaten Path can be found here. This hike can be done from either end, which makes it prime for a vehicle swap. Two groups of hikers can coordinate hiking direction, then trade vehicles in town or drive their own vehicle to the trailhead and swap keys mid-trail. If you don’t set up a vehicle swap, you can do a two-car shuttle. It’s kind of a haul, but doable. 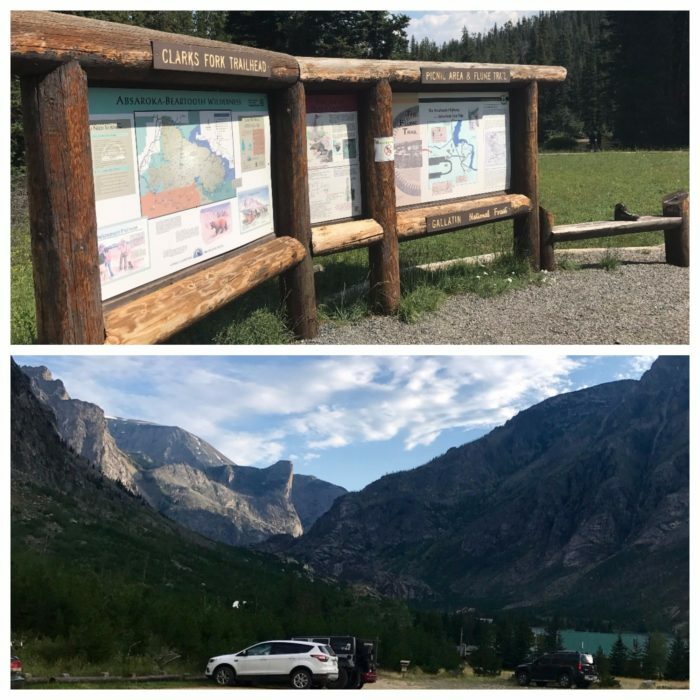 We hiked from Clarks Fork to Rosebud, so we left Truck A at Rosebud, then drove to Clarks Fork with Truck B—shuttle time was about six hours total from Bozeman. We grabbed dinner in Cooke City (Get the wings at Miner’s Saloon!) and camped at the trailhead before hiking towards Rosebud in the morning. Head East on I-90 to Exit 408 for Columbus. Stay on MT-78 South until taking a right on East Rosebud Road. Stay on this road for 35+ miles, but don’t turn off to the lake—the trailhead is another minute up the road. Here are the directions to the lake itself, but remember the trailhead is up the road another quarter-mile. Technically, the shortest route to Cooke is through Yellowstone Park, but there is a $30 entry fee and lots of bison jams. Would not recommend. The other option is to take I-90 East to Exit 408 for Columbus, then continue towards Red Lodge and over the Beartooth Highway. The trailhead is about four miles east of Cooke City on the same road. Here are the details to Cooke. 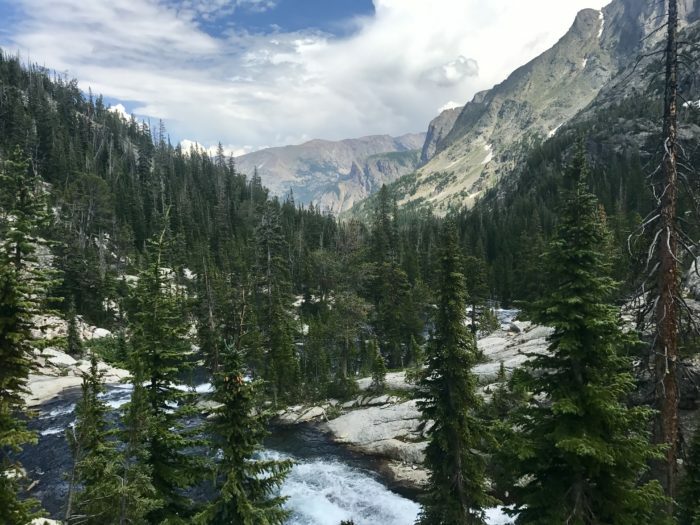 After dropping the vehicle at Rosebud, drive back out the 12-mile dirt road, then take a right onto MT 78 S. You’ll go through Red Lodge, then over the Beartooth Pass (US 212), a high-elevation highway open limited months out of the year. The Beartooth Pass takes you down to Cooke City, and the trailhead will be on your right a few minutes before town. Primitive camping is available at both Rosebud and Clarks Fork, and there were a fair amount of people sleeping in the back of trucks for a morning start. Here are the details for this leg of the shuttle. 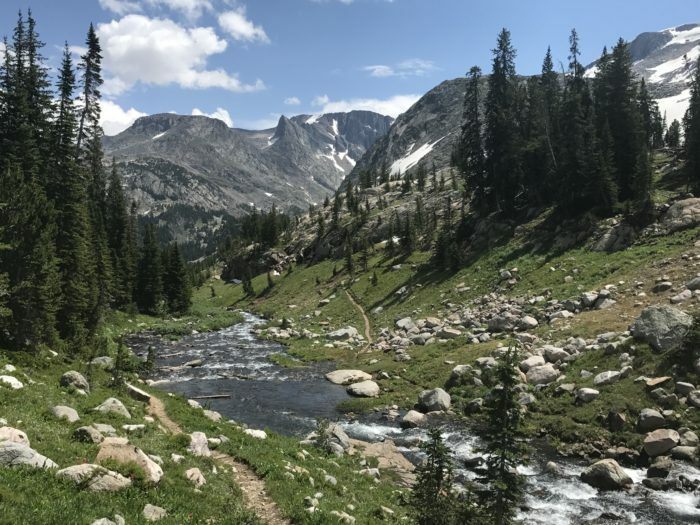 Hiking from Clarks Fork to Rosebud involves ~1,700 feet less elevation gain than Rosebud to Clarks Fork, with the East Rosebud trailhead sitting at 6,280 feet, and Clarks Fork at 8,000 feet. If you hike from Clarks Fork to Rosebud, you’ll start on the Russell Creek trail (#3), until it becomes the East Rosebud Trail (#15), marked by a large cairn near Fossil Lake. The trail was a wide, well-traveled trail right from the start. Stay straight until you see a sign for Russell Creek Trail, then follow that. There are few markers along the trail, but the widest and most obvious trail is the one to follow. The first few miles wind through the woods following Russell Creek, then it opens up around Kersey Lake before diving back into the trees. 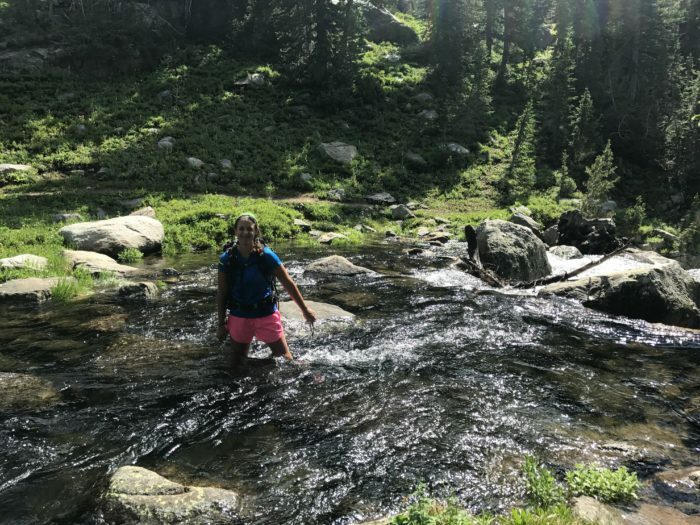 From there, the trail climbs moderately through a canyon with rocky outcroppings overlooking the river until expanding into a panoramic plateau of lakes, peaks, and drainages. 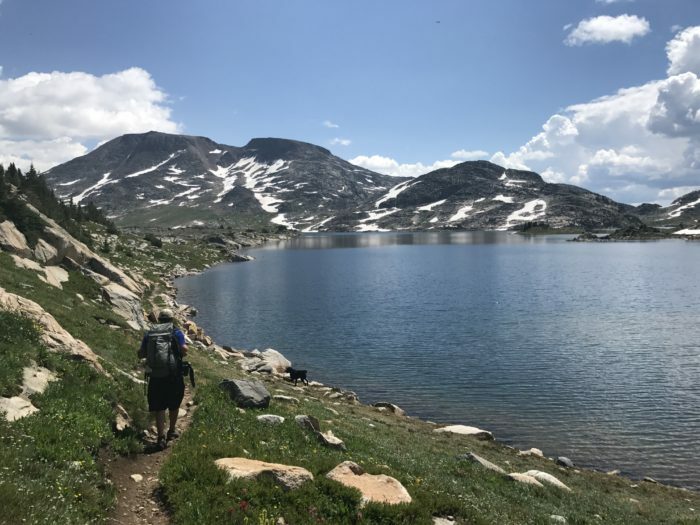 The trail reaches its high point at Fossil Lake (~9,750 feet), and then descends pretty much the entire way to Rosebud, taking hikers past Dewey Lake, Duggan Lake (including a spectacular waterfall), Big Park Lake, Rainbow Lake, and Elk Lake… to name a few. There are so many lakes we straight up lost count. Along with the lakes, the trail crosses multiple creeks, winds through more forested sections, and along exposed rock faces. Your final few hours take you through the stunning East Rosebud Drainage between towering canyon walls, all the way down to the river. The trail finishes through brush on a wide, well-graded trail scattered with wild raspberries and huckleberries. Sound like a dream trail? It is. This trail’s phenomenal grading and maintenance makes it a (relatively) popular one-day trail running option for intrepid, super fit runners, so there’s that option. We intended to do the trail in two days and camp at Fossil Lake, but someone (not me) forgot the stove fuel and we had to do the whole thing in one push. The majority of hikers we encountered were planning to do it in 2-4 days to get the most out of the incredible scenery. There are myriad options for camping and tons of water, so the toughest part about finding a campsite will be which one to choose. More info below. All the mileages for the below lakes are from this Forest Service Map, and I’ve listed from the Cooke City direction. These are just a few options for an itinerary—the camping is so plentiful you’ll have trouble choosing the most beautiful spot. It depends on the year, but the optimal time for this trail is late July through mid-September. You might be post-holing at the top until mid-July, which is fine if that’s your thing. 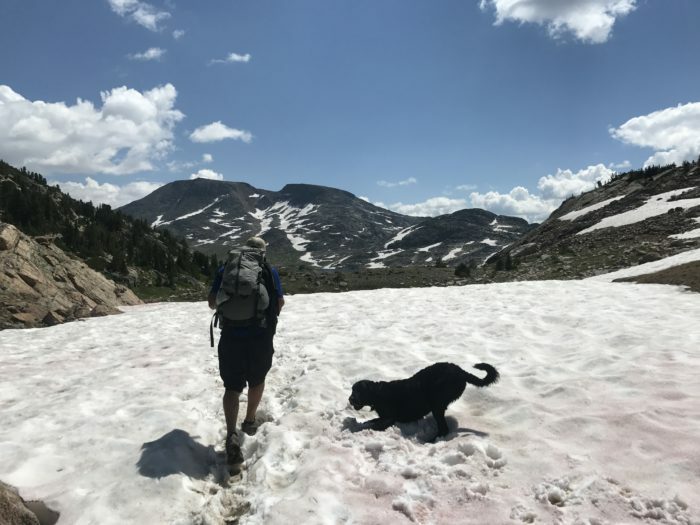 We hiked this trail at the tail end of July and encountered just a few patches of slushy snow. The weather was 50-75 degrees and sunny, minus a bit of rain and thunder in the later afternoon. This is pretty typical for summer in Montana at that elevation. You do not need a permit to hike or camp along the Beaten Path. You can technically camp anywhere along the trail, but practice good camping etiquette and stay at least 200 feet from water sources, and always leave minimal impact. Here’s your friendly reminder to also follow all of the LNT principles. There are posted no-fire zones around Fossil Lake; the terrain is fragile and easily marred. You can camp there, but no fires. Also, depending on the time of year / fire danger, there might be more fire restrictions along the entire trail. Check before you go. Fishing is allowed, we saw a lot of people packing fly rods. You will not run out of water on this trail. Aside from the seemingly endless string of lakes, the trail follows running water nearly end-to-end. Depending on the snow year, you might have some high-water crossings. None were impassable, so I chose to stumble through them, but other hikers hiked upstream until they found a better rock-hopping options. Do bugs count? The wooded part was ripe with mosquitos, but once we gained elevation they weren’t an issue. This is a bear-dense area, so always bear bag and keep your food in a scent-proof bag or container, and bear spray is a good idea. Grizzly bears are no joke. If you get a chance to hike this trail, do it. I can’t believe it’s taken me so long to get out there, but it will definitely be a trail I do every summer. Next time we’ll remember the fuel. Thanks Maggie, I took notes, just in-case. You just never know when an opportunity might present itself. Fingers crossed you get out on this trail! It really is amazing. Any advice for hiking out there with a dog? 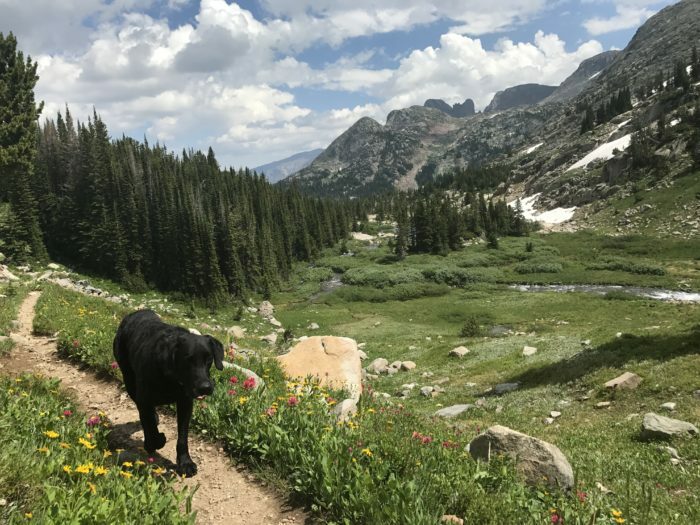 My gf and I plan to go overnight by the trails closer to Red Lodge with our dog. Her uncle lives there and is a little worried (maybe even paranoid) about the grizzly bears since dogs and them do not like each other. Obviously we will check with the rangers about activity in the area, but our dog is pretty well-trained in most areas. Good question- we hiked with our dog and he did fine. There are grizzly bears all over the place in the Beartooths, and I don’t think the Beaten Path is any worse. Hi there- I would still start on the Cooke City side, you’ll be out in the open more and have an easier hike. If you have time to get to Fossil Lake, it would be a 20-mile round trip and put you around the highest point of the hike. 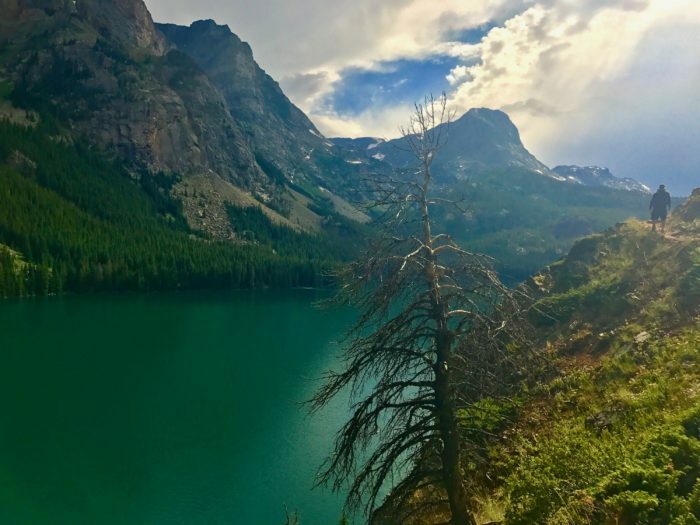 If you are looking for something shorter, Russell Lake is six miles from the Cooke trailhead and would be a 12-mile round trip. You really can’t go wrong! Thank you so much for this post. I’ll be in the area in a few weeks and this hike has gone to the top of the list!